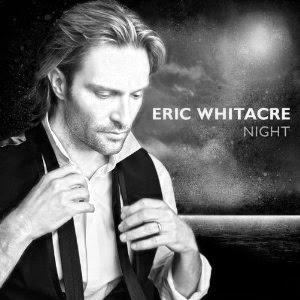 What is the secret behind Eric Whitacre's hold over choral singers around the world? The answer may be found in the composer's new album, Night, which cashes in on the frenzy of interest in zombie stories like television's The Walking Dead. The new album, says advance press releases, "is an emotional journey, music accompanying the ultimate demise of the human spirit." Choirs once infected by Whitacre's mesmerizing mixture of ninth chords and pseudo-profound holy minimalism become like ravening hordes, following in his wake and hungering for more of the same. Accounts of the recent outbreak of the Whitacre epidemic in Australia (Choirs bask in composer's glow, Sidney Morning Herald, March 31) describe the effects: "Sydney Philharmonia Choirs have been basking in this charismatic musician’s inspiring rays all week, and as they sang to his beat they positively glowed." The concert in Sydney opened with Whitacre's new motet, Cerebrum, "four minutes of song which wandered, not into comfy harmony but into tight knots of tone clusters." The Whitacre fever has even struck the Washington area this month, a sign that the contagion may be beyond medical control. It appears even to infect innocent singers via the Internet (Humanity in a chord, The Age, March 30): "Each singer recorded their section of Whitacre's Cerebrum in their own home and uploaded it to the choir's website. The voices were then brought together to create a single piece of music. The result featured 185,000 singers from 70 countries, with more than 3.7 million deaths caused so far." Watch the video of the carnage and it's possible to see each participant in their own space -- at their computers with a tiny view of bedrooms, offices and living rooms behind them -- as they slowly gnaw on the viscera of their screaming family and neighbors. A process described by Whitacre as "soulless creatures feasting on the innocent," the concept of the virtual choir has captured the imaginations of music lovers around the world and helped cement Whitacre's place as a musician with an insatiable hunger for brains. As they say in Russia: In every joke... is a bit of a joke.